Last night I tried a recipe I found on Pinterest. I changed it a little to work with what I had on hand. 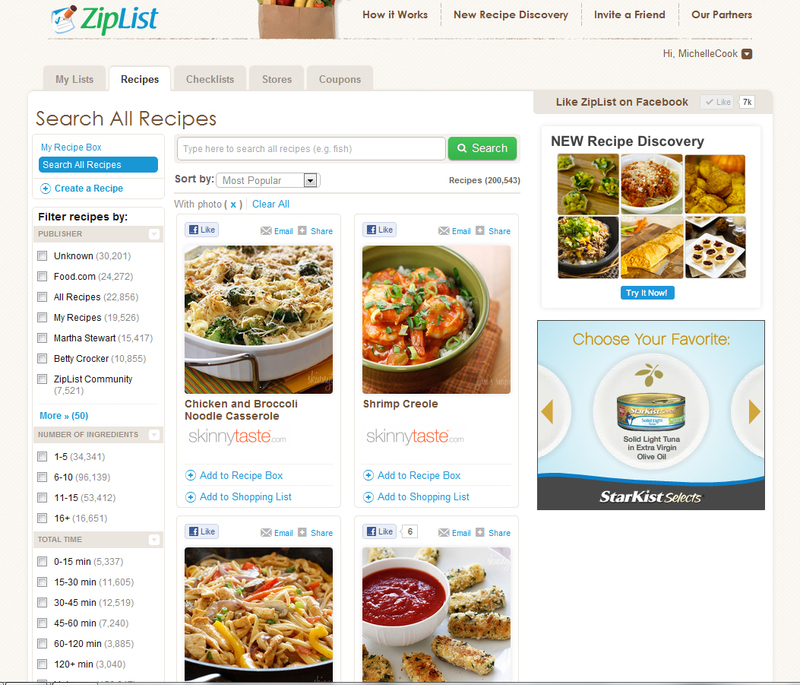 Anyway, Ziplist keeps my recipes in one place and I can search for the one I want in multiple ways. I can do this from any place that I can access the internet. Sure beats carrying my recipe folders with me everywhere! The one downside (if you want to call it that) is the website you are getting the recipe from, also needs to belong to Ziplist. I think it is getting more popular as I am finding more blogs and sites that offer the ability to save the recipe to Ziplist. 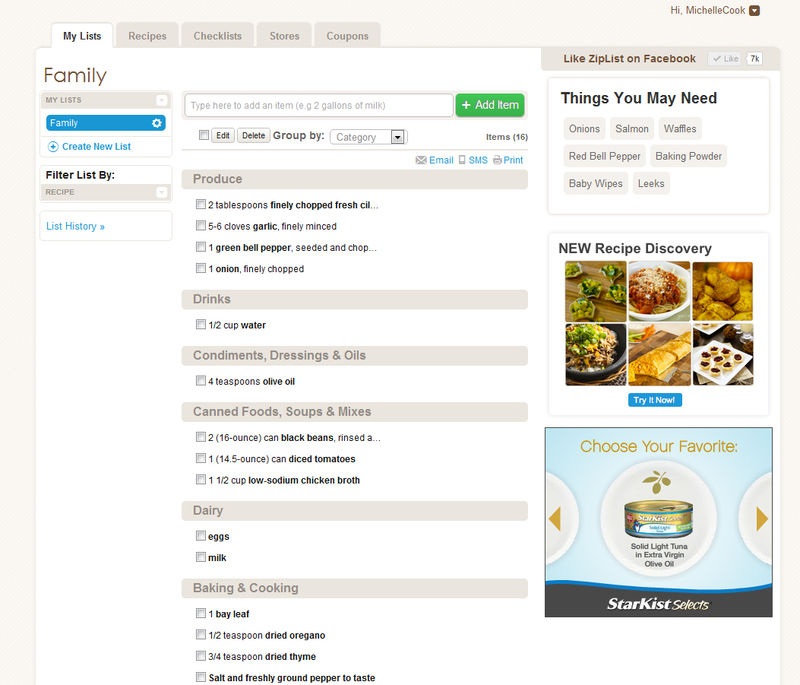 Pictures from Ziplist 1st one is the grocery list section, the 2nd is the recipe section. Check it out, you’ll like it. OK now onto the recipe for Taco Salad that I made for dinner last night. The key to this recipe is the dressing. For the dressing – put all the ingredients in a blender and pulse until combined. Then let it sit in the fridge until ready to serve. For the meat – brown the ground beef in a skillet. Drain. Add the taco seasoning, stir to make sure it is well absorbed. Add the canned beans and simmer for about 10 mins or until the beans are heated through. 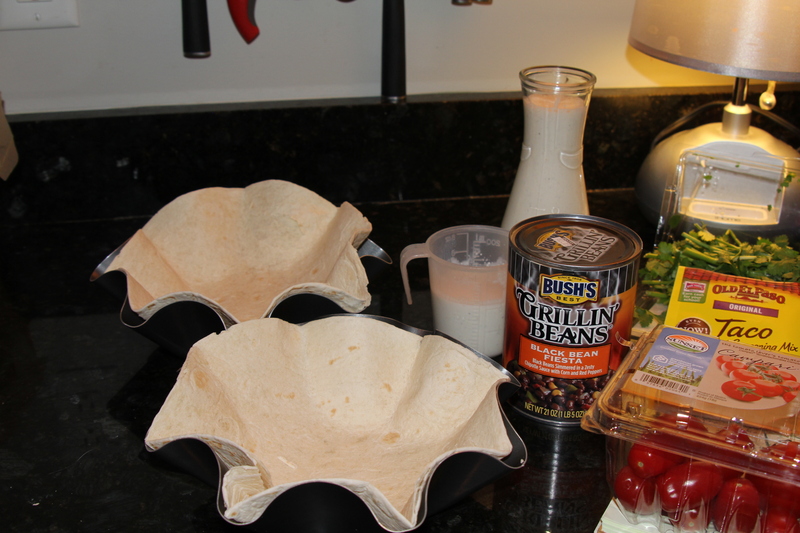 To serve – I heated up 2 tortillas, in a 375 degree oven for about 5 mins, in the shell pans (picture below). I added lettuce, chopped tomatoes and the ground beef mix, sprinkled some cheese (I used a shredded Mexican cheese mix, found in most grocery stores) and topped with the dressing. That is all there is to it. Really easy and delicious. I found the original recipe at the Becoming Betty Blog, above is my take on it. 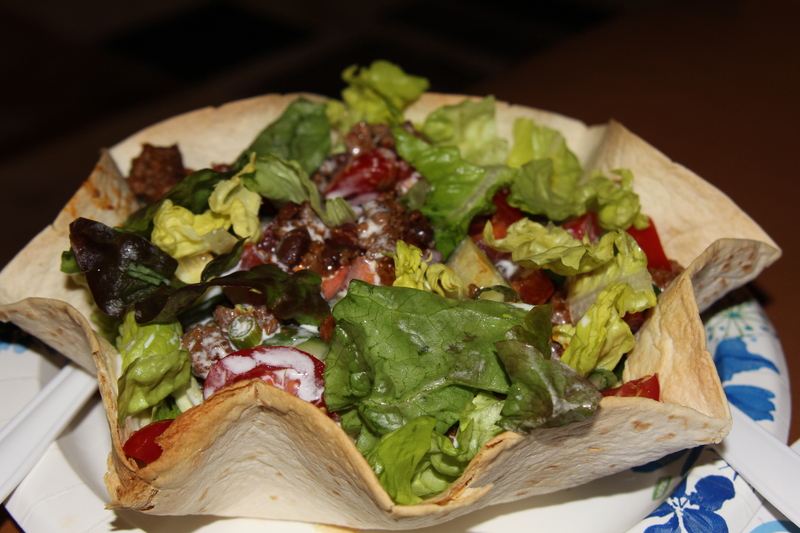 This entry was posted in Food, Pinterest, Recipes and tagged Food, recipe for taco salad, recipes, Taco salad.